You have your Dave’s Subs books and your book club group formed–now what? Make the most out of your book club’s discussions by following this Facilitator’s Guide, one of three resources in the book club edition. 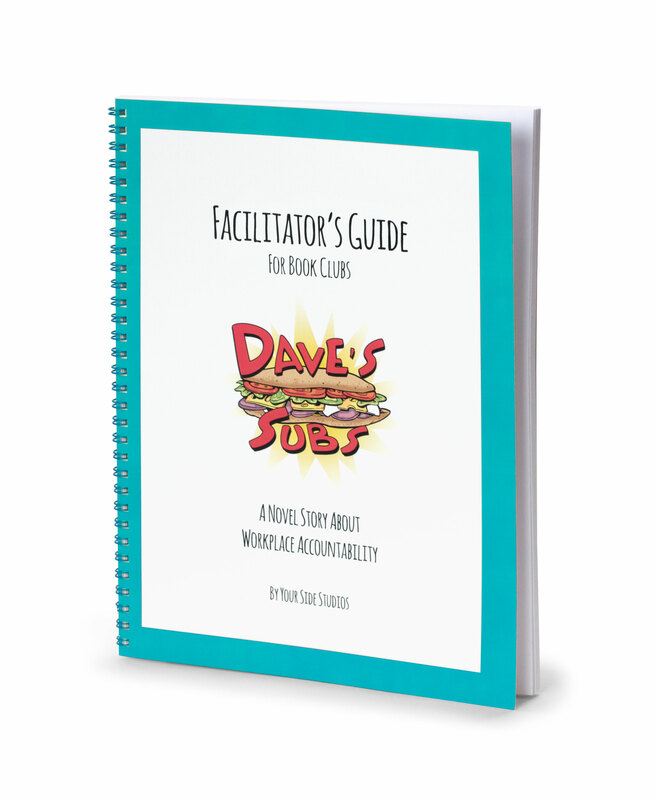 You have your Dave’s Subs books and your book club group formed–now what? Make the most out of your book club’s discussions by following this Facilitator’s Guide, one of three resources in the book club edition. For the first time, book club facilitators can read Dave’s Subs alongside their club members while following along with this guide that forces readers to think critically. Book club facilitators will use the this guide to open up productive dialogue related to the book’s main topics that tie back to developing a Just Culture. Each chapter contains questions that cover the key concepts that will take your group to a deeper level of managerial introspection. This guide is meant to be used in company book clubs as a business tool in conjunction with the Member’s Guide (ISBN 9780984041985) and Dave’s Subs (ISBN 9780984041961).